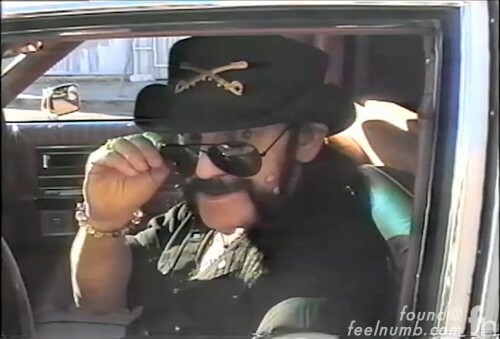 Lemmy of Motörhead was featured as a limousine driver in the Foo Fighters 2011 music video for the song “White Limo“. The low budget video features Lemmy dangerously “driving” a older model white limo with the Foo Fighters logo on it’s doors randomly picking up members of the band around town. Even though the video show Lemmy driving the limo he actually needed to use a stunt driver because he never had a drivers license. The stunt driver used for the video is Wiley Hodgden who happens to play bass and sings in his and Taylor Hawkins cover band Chevy Metal, as well as another Hawkins side project The Birds of Satan. 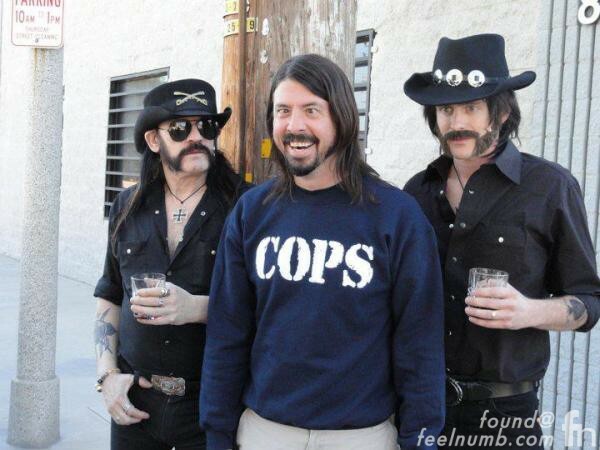 Here’s a cool photo taken from the day of video shoot of Lemmy, Dave Grohl & the fake Lemmy, Wiley. Here’s another photo I found of the video shoot with both Lemmy’s. Check out the video and the great “stunt driving” by Hodgden. 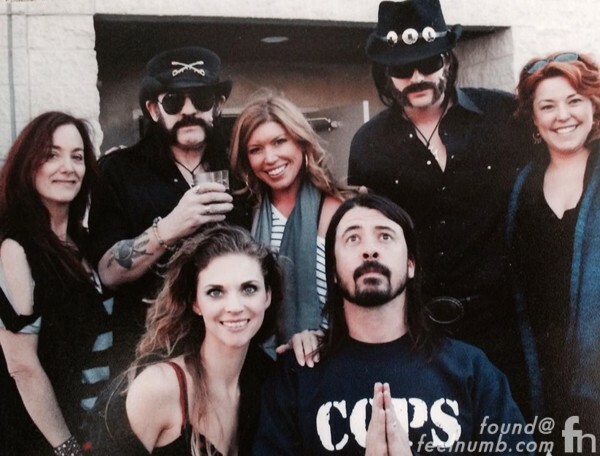 The video also features Dave Grohl’s wife Jordyn drinking Jack Daniels in the front seat with the real Lemmy before they all die driving off a cliff.